The End Of Referral Fees? The Government have announced that from sometime next year in an effort to reduce the number of accident claims they intend making the payment of a referral fee illegal. They point to the fact that claims have increased due to the efforts of the many claims management companies which they says encourages victims to claim. Whether that will work is questionable. In relation to a genuine victim why should he not use a claims management company who appoint a top firm of personal injury lawyers to represent him. Insurance Companies themselves derive much of their income from passing on details of accident claims to Lawyers in return for huge fees. Admiral Insurance have stated that 6% ofits profits is derived from referral fees. We feel that sense should prevail and the only person who should be penalised is the fraudulent claimant who clouds the water for all the genuine accident claims victims. The real problem will in the interpretation of exactly “ What is a referral fee? This entry was posted in accident claims, referral fees and tagged accident claims, compensation, no win no fee, personal injury, referral fees, solicitors, uk claims on September 23, 2016 by . Another ‘crash for cash’ accident claims scam has been foiled with the culprit being sentenced to 10 months imprisonment. Mr Khalid was found guilty after he had intentionally swerved in front of a teenage driver before slamming his brakes on to cause the crash. Mr Khalid later made an insurance claim putting all liability of the vulnerable driver who he had targeted. To make matters worse the defendant persuaded a family friend to take part in the criminal activity so he could later pass the blame on to them. Essex based Khalid now serves a prison sentence for conspiring to defraud. The judge sentencing Khalid labelled his behaviour as ‘despicable’. Major crackdowns on ‘crash for cash’ accident claims have been taken place across 2013 in an attempt to eradicate insurance fraud from a rapidly growing market. Insurance fraud is nothing new as Bolton based firm Keoghs have been actively foiling insurance scams for longer than a decade. Accident Claims fraud investigator Holly Paley says: “We regularly see claims that raise suspicion as things just don’t add up. We report any suspected incidents to the Insurance Fraud Bureau who have the systems to investigate in more detail. One of the biggest concerns is that some personal injury solicitors are accepting these cases in an attempt to stay afloat in difficult times. The whole industry needs to rally together to stamp out fraud and that means questioning claimants in detail to ensure we are acting responsibly”. The majority of scams seem to be operated by intimidating gangs who target vulnerable drivers. Most drivers will not want to confront the individuals involved and critics argue that more needs to be done to avoid fraudulent accident claims slipping through the net. It was only recently that an individual successfully claimed their tenth pay-out over a couple of years. When there is little evidence available the laws of the road can favour the culprits. Some drivers are now having CCTV cameras installed on their dashboards to avoid spurious claims being made against them. To be on the safe side why not try MI-Witness. Have you been the victim of a ‘crash for cash’ scam? This entry was posted in accident claims and tagged accident claims, crash for cash, personal injury, uk claims on September 23, 2016 by . Fraudulent accident claims are prevalent in the UK. The charity Crimestoppers has put together a league table of the country’s worst offending postcodes for “crash for cash” scams. Quite remarkably a Bradford or Birmingham postcode came out in 9 of the 10 hotspots available. The charities new publications are part of a nationwide campaign to raise awareness about the impact of frivolous accident claims and essentially to put a stop to the large-scale ‘crash for cash’ scams happening on a daily basis. Drivers in Bradford and Birmingham are being urged to be extra vigilant and report any suspicious activity. 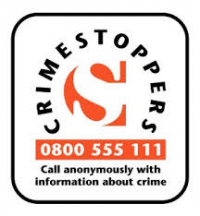 Crimestoppers has a hotline available for anyone to get in contact if they have information involving activity relating to insurance fraud. Insurance companies have been working hard with the charity providing information on key areas that need to be monitored more closely. Typically a ‘crash for cash’ scam involves criminals setting up a crash that will lead to exaggerated accident claims and car hire bills. Insurance scams are being run by organised criminal gangs in what is becoming an increasingly lucrative market. Accident Claims director Josh Donn commented; “It’s always going to be a difficult battle to put an end to exaggerated personal injury claims. The disappointing thing is that scams are now being run by sophisticated organised gangs and members of the public can feel intimidated standing up to them. We recently spoke to a gentleman who was the victim of a ‘flash for cash’ accident but didn’t proceed with a compensation claim out of fear. These gangs are targeting vulnerable people which make the process of stopping them even more difficult. All the staff at Accident Claims are committed to preventing insurance fraud and we report any suspicious incidents or claims to the Insurance Fraud Bureau (IFB). As is the case with personal injury it is very difficult to prove that someone is in fact scamming the system. Whiplash claims are difficult to disprove and compensation can be achieved for even the slightest of bumps. Fraud detection systems have come a long way over the last decade. Defendant firms like Keoghs have made significant investments into their own fraud detection system many years ago which sees them successfully find and put a stop to a number of fraudulent accident claims. This entry was posted in accident claims and tagged accident claims, fraudulent claims, no win no fee, personal injury, solicitors, uk claims on September 23, 2016 by .